Jeremy Hackett is extolling the virtues of Fox Brothers check flannel from a seat upholstered in the very cloth. “This sofa has been good for 20 years,” says the chairman and founder of the British menswear brand Hackett, “which is what makes (the material) perfect for cars.” Hackett has partnered with Q by Aston Martin on a limited-edition car, the Aston Martin Rapide S Hackett Edition, which has an interior in a Prince of Wales check from the Somerset-based cloth makers. “I first considered pinstripe, then I thought it was too ‘city,’ ” he says. “I realized that Aston Martin is by appointment to the Prince of Wales. I visited Fox Brothers, who used to make interiors for top-marque cars of the ’50s and ’60s.” The first limited-edition Rapide S model has been built, and more can be made to order-upholstered in the fabric—by special request. 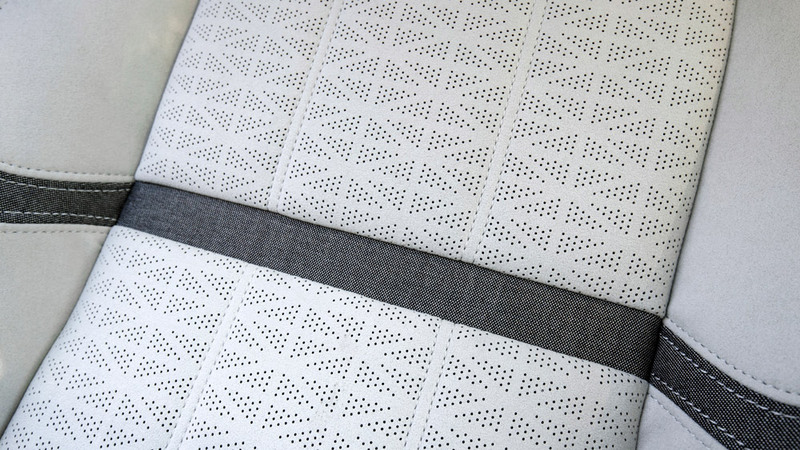 The Range Rover Velar’s wool-blend fabric from Kvadrat Photo: Courtesy of Jaguar Land Rover. This is part of the latest trend of luxury automakers ditching traditional leather for wool or other high-quality fabrics. The Queen of England has long favoured wool. Her official Bentley, created for her Golden Jubilee in 2002, features West of England Cloth seats in the back, although the chauffeur’s seats are leather. 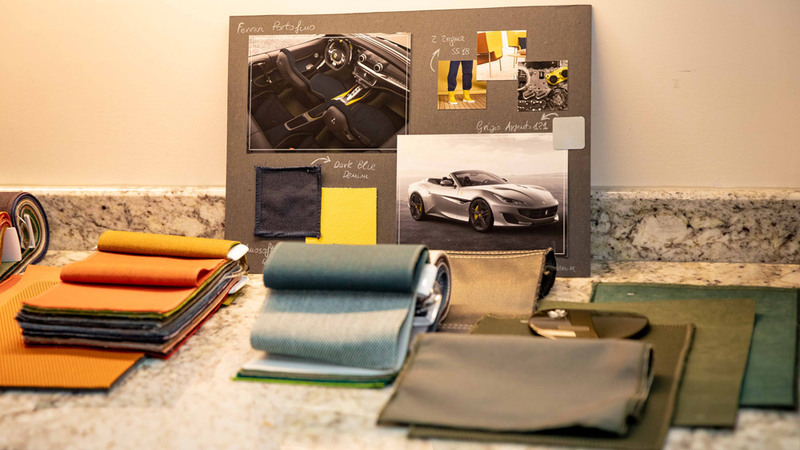 Ferrari creates bespoke commissions using Loro Piana fabrics, and Range Rover has turned to Kvadrat, a Danish heritage company, to furnish the interiors of its Velar models, giving customers a luxurious alternative to traditional leather upholstery. The seats combine a durable wool-blend fabric from Kvadrat with Dinamica Suedecloth by Miko that is made from recycled plastic materials. The rich wool yarn is hard-wearing, stays cool in the heat and warm in the cold, and can be easily cleaned. Textile samples from Ferrari Photo: Courtesy of Ferrari.